You are forgetting the almighty rendering of FISHIES. Tiny, tasty, little fishies. Only pertains to those with scales, I think. Gars are truly the apex predator in their local habitats. I think the biggest is the Alligator Gar that inhabits the Rio Grande. I must say the meal in the photos looks regurgitated. Are the feeders fed live or dead? I would imagine to placate the viewing public, feeders are fed dead. Of course, for many of us – watching the live feeders getting eaten is the only way to go. This gar does not reside at MBA. Its home is Hopkins Marine Center next door where it is a pet, thus not bound by the tolerances of the general public. 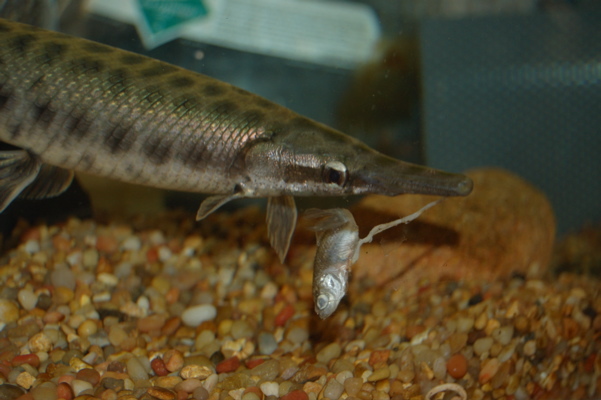 The feeder was first offered to a venomous cone snail, which rejected it, thus falling into the maw of the gar. It was not regurgitated. It was utterly destroyed by the snap of the bigger fish. Harakiri. Literally. Is the gar not a badass fish? Gar sounds like “arrrgh” which gives the toothy predator an even more sinister shadow. 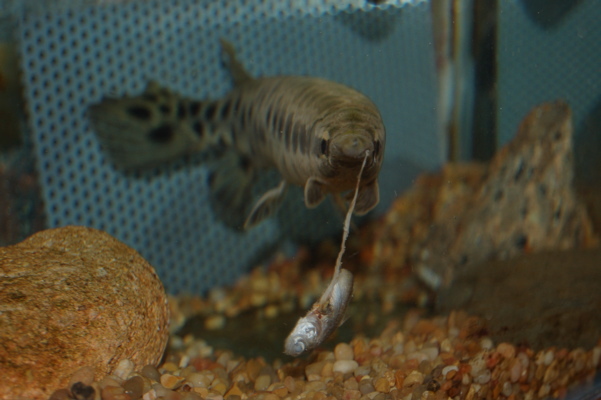 Watching goldfish get killed quickly by a gar is far better than watching those little green headed puffers nip away little by little as the tortured goldfish tries to wiggle away. Feels a bit like the inhumane chopping away of trapped dolphins by gleefully sadistic humans, huh? A bit early but here it goes – Happy birthday to you, happy bd to u, h b dy dear Adam, h bd t u! Will you be celebrating with a fishy dinner – maybe some Gar which may be short for you know what? Brutal! but judging from the shape of its unique “mouth piece”, i reckon that’s the best way to attack its “meal”? 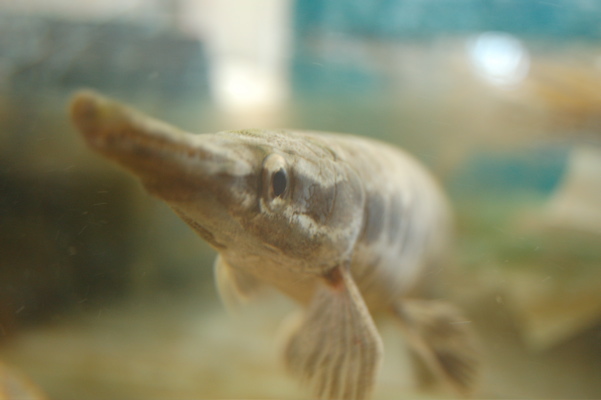 are gars are protected species? somehow one ended up in one of our (SG) reservoir. Dead, somehow got strangled in a disuse net. how it end up there? we suspect another sad case of owner who got bored of this exotic pet.